Are you interested in performing in Arts in the Parks? Toronto Arts Foundation is offering a paid opportunity for artists to get involved in pre-show performances ahead of our featured events in a select number of our parks! Pre-show performances can include, but are not limited to: musical performances (vocal/instrumental), spoken word, theatrical readings, dance, and more. This opportunity will include an audition/interview process. Preference will be given to artists living in the city region (North York, Scarborough, Etobicoke) of the park they wish to perform in. Selected artists will be given a fee ranging between $500 – $1500 to cover equipment rentals, performance fees and any other costs associated with participation in this program. Applications are now closed for the 2018 season. Check back in April 2019 to get involved in our next summer season! Arts in the Parks encourages community building, enjoyment of local parks, and offers arts events for residents and tourists of all ages. Events include performances, dance, music, theatre, film, community-engaged work, and temporary installations by arts groups. Selected parks are located throughout Toronto, from Etobicoke to Scarborough and North York to the downtown core. 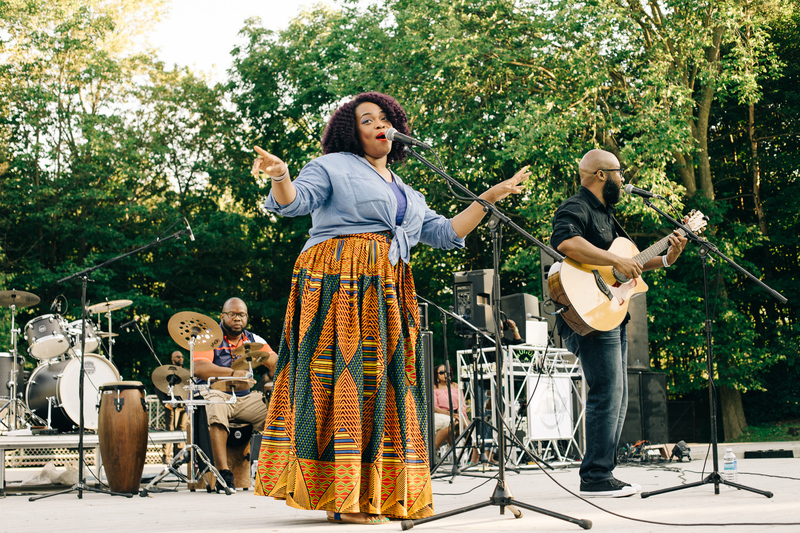 Arts in the Parks is a new initiative of Toronto Arts Foundation, being presented in partnership with Toronto Arts Council, the City of Toronto and Park People.